Football fans are preparing to march on the Premier League's head office this afternoon in protest at the rising price of season tickets. 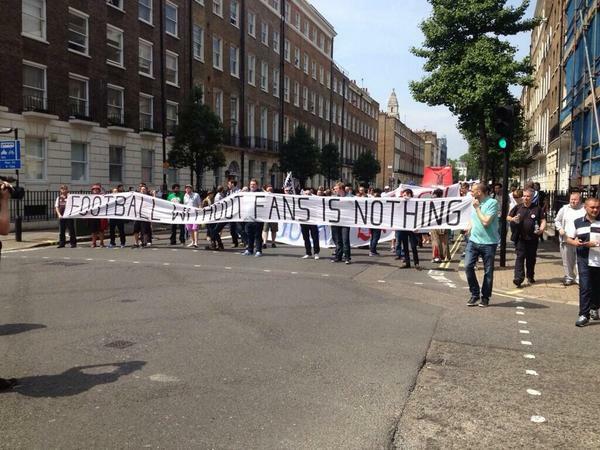 Protesters cite that many of the top football clubs in Europe sell season tickets much cheaper than the Premier League clubs. The cheapest season ticket at German club Borussia Dortmund is £160 with the top price at £689. Although Real Madrid's most expensive season ticket is £1,460, its cheapest is just £177.